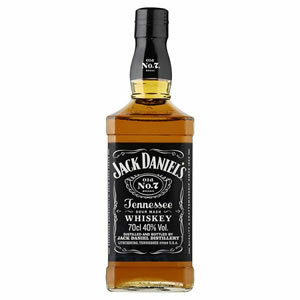 Jack Daniel's never fails to impress, it's famous Black Label flagship Whisky has a sweet smoothness that owes itself to the Lincoln County process of charcoal-mellowing the spirit before maturation. 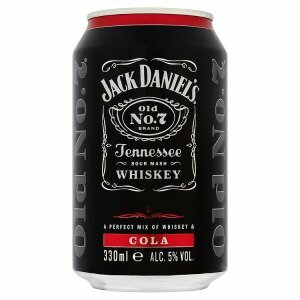 Zepbrook offers the 70cl bottles as well as a convenient pack of Jack Daniel's tennessee whisky mixed with cola in a can. 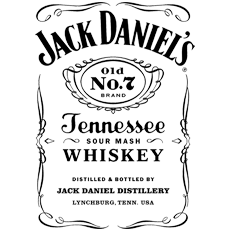 Get your Jack Daniel's from Zepbrook tomorrow: order before 5pm if you're in London (or the M25 area). Do you need Whiskys that are not currently listed on our website? Contact us - we can source and deliver many other products for a competitive price. Call us now on 020 8752 0110 or enquire online. A perfect blend of Jack Daniels “Old No 7” and cola, ready mixed for your convenience.